For the post-Soviet party, see Communist Party of Ukraine and Communist Party of Ukraine (renewed). The Communist Party of Ukraine (Ukrainian: Комуністична Партія України Komunistychna Partiya Ukrayiny, КПУ, KPU; Russian: Коммунистическая партия Украины), was the founding and ruling political party of the Ukrainian Soviet Socialist Republic operated as a republican branch (union republics) of the Communist Party of the Soviet Union (CPSU). The CPU was the sole governing party was founded in 1918 as the Communist Party (Bolshevik) of Ukraine until 1952, when it became the Communist Party of Ukraine. The party was abolished in 26 August 1991 after the failed Soviet coup in Moscow. The CPU was organized on the basis of democratic centralism, a principle conceived by Vladimir Lenin that entails democratic and open discussion of policy issues within the party followed by the requirement of total unity in upholding the agreed policies. The CPU's highest body was the Party Congress, convened every held every five years. When the Congress was not in session, the Central Committee was the highest body, but because the Central Committee met twice a year, most duties and responsibilities were vested in the Politburo. The party leader held the office of First Secretary who served as the head of government. Like all other CPSU republican branches, The CPU was committed, in accordance to the party statute, adhered to Marxism–Leninism ideology based on the writings of Vladimir Lenin and Karl Marx, and formalized under Joseph Stalin. The party had pursued state socialism, under which all industries were nationalized and a planned economy was introduced. Prior to the introduction of central planning was adopted in 1929, Lenin had introduced a mixed economy, commonly referred to as the New Economic Policy, in the 1920s, which allowed to introduce certain capitalist elements in the Soviet economy. The party traces its beginning to committees and party's cells of the Russian Social Democratic Labour Party (RSDLP) that existed at the end of the 19th century in all bigger cities and industrial centers on Ukrainian territory which was part of the Russian Empire. Under influence from the League of Struggle for the Emancipation of the Working Class in Saint Petersburg, in 1897 such organization was also formed in Kiev and Yekaterinoslav which also were taking part in preparation and convocation of the 1st Congress of the Russian Social Democratic Labour Party in 1898. With release of newspaper Iskra in December of 1900 in Germany, on territory of Ukraine spread out a network of the Lenin's Iskra group and organizations. Among the most notable activists in Ukraine during that period were Ivan Babushkin, Rosalia Zemlyachka, Pyotr Krasikov, Isaak Lalayants, Friedrichs Lengniks, Maxim Litvinov, Grigory Petrovsky, Mykola Skrypnyk (Nikolay Skripnik), Dmitry Ulyanov, Vasiliy Shelgunov, Alexander Schlichter, Alexander Tsiurupa, and others. Following the 2nd Congress of the Russian Social Democratic Labour Party (1903) in social-democratic organizations has developed a struggle between Mensheviks and Bolsheviks. On behalf of Vladimir Lenin, in 1904 Vatslav Vorovsky with Lalayants and Levitskiy created in Odessa the Southern Bureau of the RSDLP that led activities of Odessa, Yekaterinoslav, Nikolayev committees, brought together around itself Bolshevik organizations of the South, conducted great deal of work in preparation to the 3rd Congress of the Russian Social Democratic Labour Party in 1905. During the 1905 Russian Revolution Bolsheviks in Ukraine guided by decisions of the 3rd Congress led working people to fight against autocracy. In more than 50 cities and settlements were created Soviets of working deputies. In December of 1905 Bolsheviks led number of armed uprisings in Ukraine, among which were in Horlivka, Alexandrovsk (Zaporizhia), Kharkiv. Kiev, Mykolaiv and many other cities were covered with strike action. In course of the revolution the RSDLP organizations in Ukraine grew significantly and in 1907 they were accounted for over 20,000 men. [a] Organizers and leaders of party's activities during this time were Comrade Artyom (Fyodor Sergeev), Vladimir Bonch-Bruyevich, Miron Vladimirov, Kliment Voroshilov, Serafima Gopner, Sergey Gusev, Lidia Knipovich, Gleb Krzhizhanovsky, Grigory Petrovsky, Nikolay Skripnik, Alexander Schlichter, Yemelyan Yaroslavsky, and others. During the following year of government reaction in 1907–10 Bolshevik organizations in Ukraine have suffered significant losses, yet continued their revolutionary activities. Guided by decisions of the 1912 Prague Conference, those Bolsheviks carried out work to expand and strengthen ties with the masses, their international upbringing, preparing workers to new revolutionary battles, were exposing supporters of what was labeled as "liquidationism", "otzovizm" (recalling representatives from the State Duma), trotskyism and bourgeois nationalism. During the years of World War I (1914–18) the Bolsheviks of Ukraine propagated the Lenin's slogan of transforming the imperialist war into a civil war and fought against social chauvinism and revolutionary defeatism. Unlike any other Bolshevik organizations in Ukraine that adopted the Lenin's April Theses without discussions, on 23 April 1917 the Kiev party cell approved resolution in which it called the April Theses "yet insufficiently substantiated and developed". On 28 April 1917 at the city's assembly Bolsheviks stated that those theses require further discussion and promised to publish them in their newspaper. They never did. At the 7th All-Russian conference of Bolsheviks where the theses were adopted practically unanimously, the Kiev Bolsheviks, led by Yurii Pyatakov and who had other thought, did not dare to oppose Vladimir Lenin. Following the "July Days" and the semi-legal 6th Congress of the Russian Social Democratic Labour Party, Bolsheviks of Ukraine began to prepare the workers for an armed uprising "for the Soviet regime" (Ukrainian: за владу Рад, Russian: за власть Советов). Big help was provided to them by the Central Committee of the RSDLP(b) that maintained connection with more than 50 of its party organizations in Ukraine. Active role in the preparation process of the masses to the "Socialist Revolution" (October Revolution) was conducted by Vasiliy Averin, Yevgenia Bosch, Kliment Voroshilov, Yan Gamarnik, Serafima Gopner, Vladimir Zatonsky, Andrei Ivanov, Emanuel Kviring, Yuriy Kotsiubynsky, Dmitriy Lebed, Grigory Petrovsky, Vitaly Primakov, Fyodor Sergeyev, Ivan Smirnov, and others. During the summer of 1917 on territory of modern Ukraine were formed two regional (oblast) branches of the RSDLP(b) of Southwestern Krai and Donets-Krivoi Rog Basin and later in the fall the bureau of the RSDLP(b) military organizations of the Southwestern Front (due to ongoing World War I). According to Yevgenia Bosch, the regional branch of the RSDLP(b) was supposed to consist of 7 guberniyas (Governorates): Kiev, Chernigov, Podolia, Volhynia, Poltava, Kherson, and Yekaterinoslav. [d] Also membership of the party in Ukraine grew significantly in 1917 from 7,000 in April to 50,000 in October. Following the Bolshevik coup-d'état in Petrograd, at the 2nd All-Russian Congress of Soviets among its delegates, there were 65 Bolsheviks from Ukraine. The very next day after the Petrograd's coup-d'état, on 8–13 November (26–31 October by old style), 1917 Bolsheviks headquartered at the Mariyinsky Palace attempted to secure power in Kiev with less success and, after the Bolshevik's victory, the authority in Kiev was secured by the Regional Committee in Protection of Revolution in Ukraine where important role played the Central Council of Ukraine. In a week the Central Council adopted its "Third Universal" where it condemned the Bolshevik coup-d'état and declared Ukraine in federative union with the Russian Republic (instead of the Soviet Russia). In response to that on 26 November 1917 the Bolshevik Sovnarkom published its manifesto to the all population "About struggle with counter-revolutionary insurgency of Kaledin, Kornilov, Dutov, and supported by the Central Rada (О борьбе с контрреволюционным восстанием Каледина, Корнилова, Дутова, поддерживаемым Центральной Радой)". The Communist Party (Bolsheviks) of Ukraine was created in July 1918 in Moscow. Most of its constituent members were former members of the Russian Bolsheviks who in 1917 pronounced themselves "RSDRP(b) – Social-Democracy of Ukraine" and with the help of the Antonov-Ovseyenko expeditionary forces of Petrograd and Moscow Red Guards instigated a civil war in Ukraine by routing local Red Guards. Number of Ukrainian politicians from left faction of the Ukrainian Social Democratic Labour Party (also known as Left Ukrainian Social Democrats or unofficially as "Ukrainian Bolsheviks") joined the Bolsheviks in January 1918. After the signing of the Treaty of Brest-Litovsk the Bolshevik faction Social-Democracy of Ukraine was forced to dissolve as all Bolsheviks were forced out of Ukraine. On October 13, 1952 the party officially was renamed as the Communist Party of Ukraine. On August 26, 1991 the Communist Party was outlawed in Ukraine. Different sectors reconstituted themselves in different parties. One group led by moderate members under Oleksandr Moroz formed the Socialist Party of Ukraine (SPU) out of most of the former members, a group of agrarians led by Serhiy Dovhan and Oleksandr Tkachenko formed the Peasant Party of Ukraine (SelPU), and another group, the Communist Party of Ukraine, was re-created in 1993 in Donetsk under the leadership of Petro Symonenko when the ban was lifted. The remaining members either changed political direction or created their own left-wing parties such as the Vitrenko bloc, Social-Democratic (United) party, and others. Initial composition of the committee was elected at the 1st party Congress on July 12, 1918 and consisted of the following people: Ivan Amosov, Andrei Bubnov, Afanasiy Butsenko, Shulim Gruzman, Vladimir Zatonsky, Lavrentiy Kartvelishvili, Emmanuil Kviring, Stanislav Kosior, Isaak Kreisberg, Yuriy Lutovinov, Yuriy Pyatakov, Rafail Farbman, Pinkhus Rovner, Leonid Tarsky (Sokolovsky), Isaak Shvarts. Beside full members there also were candidate to the committee. The initial composition included Yan Hamarnik (Yakov Pudikovich), Dmitriy Lebed, Mikhail Mayorov (Meyer Biberman), Mykola Skrypnyk, Petro Slynko, Yakov Yakovlev (Epshtein). On September 9, 1918 Mayorov and Slynko replaced Kertvelishvili and Farbman as full members, while the last two lost their membership. During World War II on October 2, 1942 there was created the Illegal Central Committee of the Party consisting of 17 members. The committee was dissolved on June 29, 1943. Among the members of the committee were such personalities as Sydir Kovpak, Leonid Korniets, Oleksiy Fedorov, and others. The party had its own Politburo created on March 6, 1919. On September 25, 1952 the committee was renamed into the Bureau of the Central Committee (CC) of CP(b)U, and in October the same year as the Bureau of the CC CPU. On October 10, 1952 it became the Presidium of the CC CPU. On June 26, 1966 again the bureau was finally left with its original name as the Politburo of the CC CPU. At first it consisted of five members and later another one was added. The first Politburo included Andriy Bubnov, Emanuel Kviring, Vladimir Mescheryakov, Georgiy Pyatakov, Christian Rakovsky, and later Stanislav Kosior, all centrists. From March 23 until April 15, 1920 there was elected a Provisional Bureau which the next day was ratified by the Russian Communist Party (Bolsheviks). Along with Politburo the party like its Russian counterpart had its own Orgburo that was created the same day as Politburo. The party was headed by its secretary. The position was highly influential and often was considered to be more important than the head of state (see Ukrainian SSR). The following list is composed of the secretary of the Central Committee of the party who were the leaders of the Party. The position also was changing names between being called the First Secretary or the General Secretary, depending on a political atmosphere in the Soviet Union. The position was not officially of the head of state, but certainly was very influential, especially within the republic. The longest serving secretary was Vladimir Shcherbitsky with some 17 years as the head of the Communist Party, the second best is split between Stanislav Kosior and Nikita Khrushchev, both of which have 11 years. There were 28 Congresses with the last one consisting out of two stages. There also were three consolidated conferences of the party from 1926 to 1932. At the second stage of the last Congress there were 273 members in the Central Committee. This took place in Moscow and decided to call for preparations for an armed uprising against the occupying Central Powers forces and Hetman Pavlo Skoropadskyi’s dictatorship. There were only 15 members in the Central Committee and six candidates.It reversed the decision adopted that April by a preliminary council in Tahanroh to established an independent Ukrainian bolshevik party with a membership in the envisaged Third International apart from the Russian party. This also took place in Moscow. Joseph Stalin was elected to the Central Committee. This congress took place in Kharkov. A new central committee with a majority of Left Communists was elected. 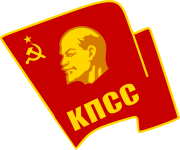 This prompted the Eight Congress of the Russian Communist Party to pass the following motion: ""It is necessary to have a unified communist party with a unified central committee ... All decisions of the RCP and its leading organs are absolutely binding for all parts of the party, independent of their national composition. The central committees of the Ukrainian, Lettish and Lithuanian communists are conferred the rights of regional committees of the party; they are to be unreservedly subordinate to the central committee of the RCP." The Borotbists were forced to dissolve themselves and their erstwhile members were permitted to join the CP(b)U. Vasyl Ellan-Blakytny and Shumsky drawn from the Borotbist leadership were elected to the Committee and the Borotbist Central Committee passed a resolution dissolving the Borotbist party and its central committee. All members were instructed to apply for CP(B)U membership. Nearly 4,000 out of approximately 5,000 Borotbists were admitted to the CP(B)U. From 1919 to 1934 all meetings were conducted in Kharkiv, capital of the Ukrainian SSR. There were three major Committees and several Bureaus. Each committee had members and candidates to members each with certain degree of obligations. The members and candidates to the committees were elected at the Party Congress. The number of members varied from one gathering to the next usually in ascending sequence. During the Great Purge the numbers remarkably declined as well as one of the committees, Central Control Committee, was disbanded. The first members were elected in 1918, 15 members of the Central Committee, six candidates as well as three members and two candidates of the Revision Committee. In 1920 the Central Control Committee was formed and by 1934 the Party accounted for some 191 members and 45 candidates in all committees. In 1937 there were only 71 members and 40 candidates in two committees. By 1990 the number of members grew just over 300 members. ^ a b Due to russification of Ukraine, the Ukrainian Soviet Encyclopedia does not differentiate between two homonymic words in both languages (Russian and Ukrainian) that have different semantics. The Russian word for people "chelovek" (Russian: человек) looks as it was adopted in Ukrainian here as [male] men "cholovik" (Ukrainian: чоловік). Given estimation for men, possibly includes estimation for people in whole. ^ a b c d e f g h i j k l m n o p q r s t u v Yurchuk, V., Kuras, I. Communist Party of Ukraine (КОМУНІСТИЧНА ПАРТІЯ УКРАЇНИ). Ukrainian Soviet Encyclopedia. ^ The Central Committee elected at the 1st Congress of the CP(b)U 12.07. 1918, members (Центральный Комитет, избранный I-м съездом КП(б) Украины 12.7.1918, члены). Handbook on history of the Communist Party and the Soviet Union 1898–1991. ^ a b Secretariat of the Central Committee of the CP(b) – CP of Ukraine (Секретариат ЦК КП(б) - КП Украины). Handbook on history of the Communist Party and the Soviet Union 1898–1991. ^ Congresses, conferences, and plenums of the CP(b) – CP of Ukraine (Съезды, конференции и пленумы КП(б) - КП Украины). Handbook on history of the Communist Party and the Soviet Union 1898–1991. ^ Sovetskaya Ukraina. Old newspapers. ^ Pravda Ukrainy. Old newspapers. Dmitricheva, O., Rakhmanin, S. Ukraine partisan. Part IV. Communist. Mirror Weekly. 1 March 2002.